As I got back home and into my room, I felt some heat on my arm coming from the direction of the ironing board. 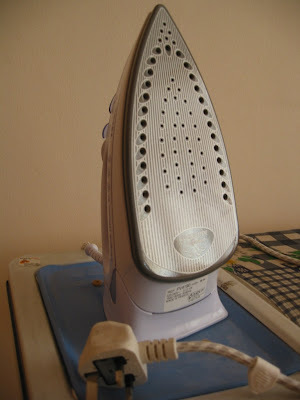 Then to my horror, I realised that I have left the iron ON the whole day! This was the second time this had happened! What a waste of energy and a safety hazard! Recently, I have been absent minded amid the haste of doing many things. Now, whenever I get near the iron, I feel the same heat radiated on my arms. My heart will then skip a beat on the horrific thought that I have again forgotten to switch off the iron. However on closer examination and touching the iron, I am relieved to find that it is not hot. The emotional spike I had previously was painful enough to condition myself to feel the heat of the iron whenever I get near it - even though the iron is switched off.